The following represents a list of potential objections and responses associated with the "Circular God Counter-paradox" resolution to the Stone Paradox. The list starts with many of the more basic challenges that are commonly offered and then progresses on to more complex arguments. The last section deals with extremely complex challenges requiring a clear realization of the significance of a "simultaneously-happening" event, a solid comprehension of abstract logic and a profound understanding of what are the theoretical capabilities of an omnipotent being. All of these challenges have been submitted by real people found on YouTube, Quora and via email. All punctuation and spelling errors are left within their quotes as to not alter their challenge in any way. Challenge: God is technically lifting the rock from Plane (A), so there is no rock present in the counter-paradox that he cannot lift. Response: The rock that God cannot lift is located on Plane (B). Challenge: Then there does exist a rock that God cannot lift on Plane (B). Response: The rock on Plane (B) is being raised by God from Plane (A). Challenge: Then there does exist a single point in time where God is not lifting the rock on Plane (B). Response: There exists the exact same moment in time where God is lifting the rock on Plane (A). Challenge: God cannot be in two places at the same time. Response: God is ubiquitous. Ubiquity is an accepted characteristic of omnipotence (i.e., omnipresent). Challenge: It is logically impossible to be lifting a rock at the same time that you are not lifting the same rock. Response: A being that is not omnipotent and ubiquitous would not be able to accomplish this task. However, God is omnipotent and ubiquitous, therefore it is possible. Challenge: You have not answered the question. You have merely created a larger paradox. Response: There is no size associated to a paradox. All requirements of the original question have been fully resolved with the counter-paradox. Challenge: A paradox cannot neutralize another paradox. Response: Demonstrate where the Circular God Counter-paradox has failed to neutralize the original paradox. Challenge: This counter-paradox does not neutralize all omnipotence paradox type of questions. Response: This counter-paradox was specifically designed to address the paradox of the stone. A different omnipotence question would require a differently designed response. Challenge:: This is again, wrong. No matter were God is, he has the same power. Response: God can orchestrate, manipulate and control His omnipotent powers in whatever way He chooses. God is not limited in any way. This is the purest definition of "omnipotence" You are attempting to limit God's omnipotence before He is even able to respond to the Stone Paradox. Challenge: The rock cannot be lifted by him, so the rock would therefore fall onto Plane A. Response: Planes (A) and (B) are separated by a necessary measurement of space which allows for verifiable movement of the rock. The rock that God cannot lift remains on Plane (B) and is also lifted by God from Plane (A) at the exact same moment. (No rock has fallen through the plane). Challenge: God does not have the power to do this, as does any other force in nature. Response: An omnipotent being (God) is not subject to any of the forces to which He has created. You cannot offer a paradoxical test to the existence of omnipotence (i.e, the "Stone Paradox") and then not allow the full power of omnipotence to be utilized within God's response. Challenge: You are implying that God can lift the rock to keep Plane B floating above Plane A, which is impossible. Response: As per the diagram, God is indeed lifting the unliftable rock on Plane (B) from Plane (A). I have demonstrated how this task has been accomplished, so you are now required to demonstrate how it is impossible. Challenge: Well if he is omnipotent, than there should be no struggle, as that implies finite power. Response: There is no struggle present with God lifting the rock from Plane (A) at the exact same moment the struggle ensues on Plane (B), so God's omnipotence has not been compromised in any way. The end result is the same a (2 + -2 = 0). Which #2 is "struggling" more than the other? Which #2 is the dominant number? Which #2 has won this math competition? Challenge: This counter-paradox is very flawed, and I'm surprised you tried to pass this off as being an answer to the original paradox. Response: A flaw within the Circular God Counter-paradox is yet to be demonstrated by anyone. The Circular God Counter-paradox serves as a correct, well-defined and unarguable response to the Stone Paradox. Feel free to expose a flaw if you are so able. Challenge: An omnipotent God is impossible, no matter how you try to argue it or counter it. Response: You may personally feel this way inside, but unfortunately this cannot be proven by asking the "Paradox of the Stone" question, because the Circular God Counter-paradox now exists and can be adequately offered as a response. The premise found within the Stone Paradox thusly becomes nullified as a result and can no longer be used as an abstract tool for logically eliminating omnipotence. Response: There were no specifications on HOW God is required to lift the stone in the "Paradox of the Stone" question and one must accept that God simultaneously fails to lift the rock that he created on Plane (B), so your conclusion is not valid. Challenge: The problem here is how you are taking too literally the question, going so far as drawing pictures of “God” lifting a rock. Response: The Stone Paradox question was designed to challenge the concept of omnipotence. I used the available tools of omnipotence (and only those tools) to counter the stone paradox. My counter-paradox is supplied for you in written form below each graphic. The graphics are supplied only as a visual aid to the written text. Challenge: Just because God has omnipresence doesn't mean he can clone himself. Response: Cloning is a biological process via identical asexual reproduction from a single progenitor cell or organism. Omnipresence is the state of being in all places and at the exact same time. God is not subject to a biological process nor is a cloning process required for establishing God's omnipresence. God is present on Plane (A) and Plane (B) by way of omnipresence (ubiquity) and is done so at the exact same moment. Challenge: It’s based on the flawed premise that the rules of logic are like rules of a game where penalties cancel each other out. Logic isn't a game. Response: Games (chess, checkers, football, etc.) operate by way of logic, strategy, fairness and rational thinking. They are governed by “rules” just as logic is governed by “rules.” The rules and penalties must absolutely remain equal on both sides for any game to remain logical. The same applies for the rules of logic. Challenge: These are called paradoxes you cannot, no matter how hard you try, give a valid solution. Response: The original Stone Paradox represents a violation of logical thinking (as do all paradoxes) so no paradox can be “solved.” They can only be “resolved.” If you were in a boat which had a hole in it, should you become able to remove enough incoming water to which you boat does not sink (with a bucket) then you have not “solved” the problem, but rather “resolved” the problem (since the hole still exists). Patching the hole would be “solving” the problem. Consider logic as the boat. My “counter-paradox” (bucket) removes any incoming water that is a direct result of the “Paradox of the stone” (hole). …Problem (re)solved! Challenge: The question basically is: “Can god mutilate himself?” to which the answer is: “Yes but he would have to give up his title of being all powerful." Response: This is yet another version of the “Omnipotence Paradox.” Others versions are, “Can God kill himself?” or “Can God make 2+2=5?” and “Can God make a square circle?” The Circular God Counter-paradox specifically targets the stone paradox. The reason why the Stone Paradox is the cornerstone (pun intended) of the overall omnipotence paradox is because it doesn’t deal with something that is already impossible by design (i.e, we already know squares are not circles, We already know 4+4=8, Killing one’s self to prove one’s power is illogical). However having god merely “create” a new object (like a simple rock) provides a paradoxical question that is not tainted with any already-existing false premises. It is still based on an illogical premise, but at least it its not a multiplicity of illogical arguments combined into a single paradox (like “Can God make 2+2=5?”). Challenge: I appreciate you trying but the answer is not final and doesn't solve the paradox. Response: The Stone Paradox has not been “solved” but rather resolved with a paradox of equal value. The stone paradox has been neutralized as a result. The counter-paradox stands on its own in doing so and no “trying” is additionally needed. Should anyone ever ask the Stone Paradox question, then my Counter Paradox can be adequately used in response. The only logical conclusion is that a paradox is unable to prove or disprove the existence of anything at all. Challenge: If it's a rock that he can't lift, how can he lift it even if he uses more the power of omnipresence? Infinity x infinity is still infinity, and the rock is infinitely heavy, so infinity = infinity, therefore he cannot lift the rock." Response: The stone has an established weight that does not increase or decrease as per the requirements of the Stone Paradox. The stone's weight remains as a constant the moment it is created. At that specific moment, the weight of the rock is grater than the capacity of God on Plane (B) to lift, but this inability is compensated for by God on Plane (A) who is able to simultaneously lift the stone, God and Plane (B). Challenge: But at the end of the day, he can still lift the rock with the help of his omnipresence. Does that not prove that he cannot create a rock that is impossible for him to lift after all? Response: You could have simultaneously wrote, "But at the end of the day, he is still rendered unable to lift the rock on Plane (B). Does that not prove that a rock exists that is impossible for him to lift after all?" - To which I would have replied: "But at the end of the day, God is still able to lift the rock from Plane (A) by way of omnipresence. There is no escaping the paradox of God lifting and not lifting the rock at the exact same moment. This counter-paradoxical solution allows you to use the exact opposite of whatever is being challenged regarding whether God is "lifting" or "not lifting" the rock. That's why it is a counter-paradox. Challenge: To lift something means to put it above its current plane. As long as the rock stays on its plane, its not being lifted. Being able to lift the plane doesn't change the fact that the rock hasn't being lifted. Response: That is incorrect. The next time you take your lunch tray over to a dining table you will realize this fact. The stone and Plane (B) are both being lifted by God from Plane (A). You cannot re-define (or restrict) the definition of "lift" in order to meet a specific agenda. Challenge: To lift the plane, it would require acceleration. Newton's equation F=ma shall do the trick. Rearrange it to F/m=a. M equals a number greater than infinity, plus all the mass in whatever he's lifting. God is infinitely powerful. F=infinity. So at that point, when you take to the physical and mathematical extremes, God cannot lift the rock. Response: Expansion can lift an object as well. The next time your water pipes burst in the winter you will know this as truth. A commonly found compound in nature known as H2O in a liquid state cannot hold a 6" metal cube, however, when H2O becomes a solid (ice) then it is able to sustain (and even raise) a 6" metal cube. Not only that, but Ice would also be able to sustain the weight of a 6" metal cube along with the weight of its own self while residing within liquid H2O. So if an example can be readily found within nature, then the same holds true (if not more) for an omnipotent God. Challenge: If he was outside of gravitational influence, the rock would lose the quality of a heavy rock. Response: Gravity, God and the stone remain constant within the Circular God Counter-paradox. 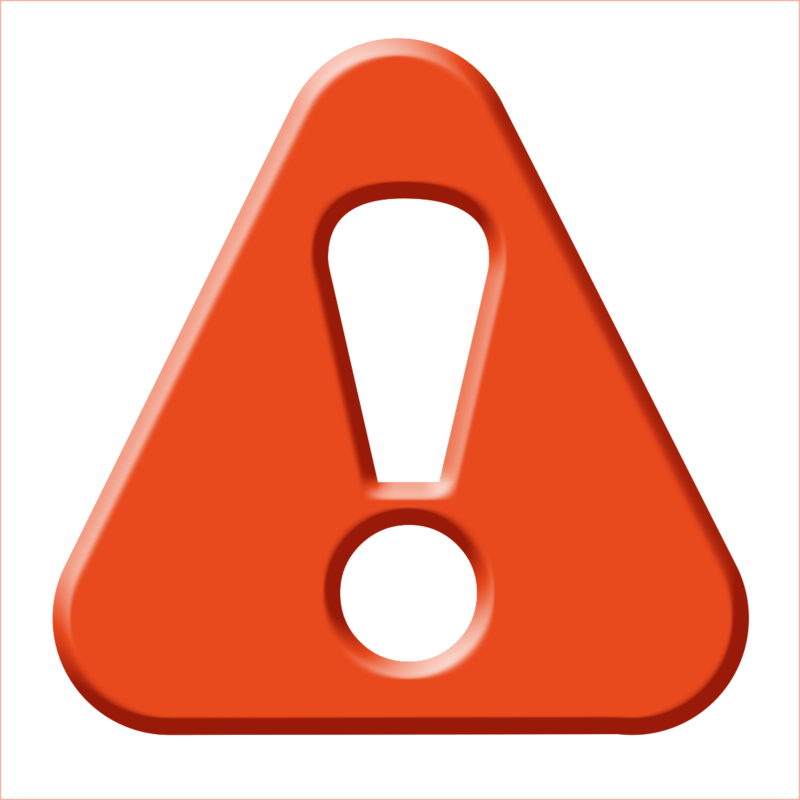 There is no increase, decrease or any alterations made to the stone or gravity as alterations are not required at all for the CGCP to work. God is always the same God on Plane (A) and Plane (B) just as water, ice and steam consist of the exact same H2O. Challenge: When you see/define/assume god as a sub-set intuitively, you are bound to get this confusion. Omni-potence and omni presence means he cannot be a subset. He includes everything, so your paradox becomes invalid. In fact thi whole paradox thing would help prove that god cannot be a sub-set of the universe. Response: Since God is physically unknown to us, I have nothing to base whether God resides as a subset of all things or not. Discovering the true nature of God would involve a completely different discussion. What I do know is that if God were truly omnipotent, then God would possess the power to become a subset of whatever God so chooses to become a subset of (as would any omnipotent entity). The Stone Paradox challenges "Omnipotence." All I have done is responded to this challenge with a counter-paradoxical response using the powers that Omnipotence provides in the process. What the Circular God Counter-paradox does is nullify the effects of the Stone Paradox so that the debate regarding the true nature of God can happen without any logical arguments against the existence of an omnipotent God being used as interference. Challenge: The personal God of monotheism, being omnipresence, can’t have separate existences or separate personalities, as he is equally present in every part of the universe or universes. Response: "Can’t have separate existences?" - "Must be equally present?" There are no restrictions on omnipotence - and omnipresence is a characteristic of omnipotence. So are you now choosing to place new restrictions and limitations on omnipotence and omnipresence? You can chose to do this, but by handcuffing Omnipotence before an omnipotent God has a chance to even respond to the question does not allow for a true test of omnipotence. Challenge: So he was just "acting" on plane (B) that he can't lift the rock that he built himself (to make his audience believe that he can make anything) and then at the same time "Boom!" he lifted the whole plane B, along with the rock? Response: There is nothing in the Circular God Counter-paradox to suggest or support that God is merely “acting.” Acting would only serve to demonstrate God as a false or misleading entity, which is not a defined characteristic of omnipotence. An omnipotent being would have the power to lie, but it cannot be imagined why there would ever be the need to do so. Challenge: God is unable to move the rock on Plane (B) so he loses his attribution of omnipotence, therefore he’s no longer an omnipotent God on Plane (B). This is contradicting the condition of the rock, that is to be made by the omnipotent God. Response: If God is simultaneously present on Plane (A) and Plane (B) and at the exact same moment the stone is being lifted and not-lifted by God, then there is no single moment where omnipotence is not present or definitively compromised. You cannot isolate one instance from the other as they are both occurring at the exact same moment. It’s called a “paradox” and anyone on the business end of a paradoxical question or statement is seemingly trapped (just like everyone has been for over 800 years with the Stone Paradox) …until now! Challenge: I think you are emphasizing more on the sentence structure of the question literally, than it’s real meaning. Response: There is no more emphasis on sentence structure or inherent meaning present within this Counter-paradox than is found within the Stone Paradox itself. The Stone Paradox is presented in the form of a simple question. The underlying purpose of this question is to use an abstraction of logic (a paradox) as a trap to nullify the existence of omnipotence. The Circular God Counter-paradox uses this same paradoxical abstraction of logic, but turns it around to nullify the existence of the Stone paradox. This is the underlying purpose of this counter-paradox and how it becomes effective. Challenge: Let's suppose it's even possible to "lift a universe" [even though that would lack any meaning due to the lack or space-time and the fact that there wouldn't be an up]. According to the report from National Solar Observatory, the universe's mass would be around 6*10^52. God can apply infinite force since he is all powerful. The rock would need to have a mass so great that God cannot life it. So put that at infinity. Response: That is not accurate. The stone would not need to be of a specific mass or size. It would only be required to be of a weight that God cannot lift. It could be the size of a pebble ot have the mass of an acorn and still meet the requirement of the Stone Paradox if God is in some way rendered unable to lift it. Challenge: Since the rock is in the universe, we'll have to add the mass of the rock with the universe and think of them as one. So this new universe's mass would be infinity. So this God would essentially be lifting an object just as [if not more] massive [so just as much mass as the rock if not more.] then the rock. He would suffer the same difficulty lifting as the other version of him. Response: Again, the stone is of an omnipotent God's design - not ours. God can omnipotently determine the size and nature of the stone to meet the requirements found within the Stone Paradox. Challenge: This reminds me of the paradox where an immovable object meets an unstoppable force. What happens? These types of paradoxes cannot be solved or REsolved (as you say) with a counter-paradox. Response: The unstoppable force would pass right through the immovable object. Thus, both maintain their unique characteristics when they encounter each other. Challenge: By suggesting God can lift a universe while residing in another universe, you are committing a Russell's Teapot fallacy. Physicist are stating that there is no empirical evidence to suggest there is a multiverse. By default, we shouldn't think it exist until evidence shows itself. Response: There is nothing preventing the existence of multiple universes in the same way there is nothing preventing intelligent life from being found on other planets. Are you suggesting that intelligent life is not possible on other planets because we have no empirical proof of such? And when you are dealing with an "omnipotent being" you cannot set a limitation such as, "It can only create one universe." An omnipotent being (by definition) has the unlimited power to produce an infinite amount of universes. The fact that we know of only one could be the result of an omnipotent being merely choosing to produce only one universe. Challenge: Now the problem is, why can't God lift the rock on plane B, if he can do it on plane A? In other words, how can he lift plane (B) which has the rock, while he couldn’t lift the rock while standing on plane (B) at same moment? Response: God on Plane (B) is unable to lift the rock because the rock surpasses His ability to lift it at that moment. God is able to lift the rock from Plane (A) because at that very same moment, God has the ability to overcome the weight of the heavy rock He has created. If I were to ask you, “How can it be possible for frozen water to support the weight of many men along with the weight of its own self when placed upon it, yet unfrozen water is unable to support even the weight of a single man?” …how would you respond? If water (which is considered ubiquitous) is present in the pacific ocean and water is also present in my kitchen sink, are not both occurrences of water found in different locations, have separate qualities (salty and non-salty) and are not both still absolutely considered water? Isn’t the energy generating capabilities of the water found in the Pacific Ocean unimaginably greater than the energy-generating capabilities of the dormant water which resides in my kitchen sink? Isn’t the volume of water present in the Atlantic Ocean much less than the volume found within the Pacific Ocean, yet both occurrences of water are far superior in volume to that which resides at the bottom of my sink? Doesn’t water that is boiled become a gas? Isn’t this gas still H2O? Can this gas be used to create a far greater amount of energy than an equal amount of stagnant water that has not been introduced to any heat at all? Isn’t pure water that is frozen into ice exponentially stronger than water that remains in a liquid state? Is not the size of a gallon of frozen water larger than a gallon of warm water? Are not ice and water both made up entirely of the exact same thing (H2O)? Is the ubiquity of water found within the confines of planet earth somehow to be considered more powerful than an omnipotent, ubiquitous God who created this water? Challenge: The one defining quality is that it's a weight that God is unable to lift. If you have a heavy weight that you cannot lift, putting it on a plane wouldn't make it any easier. If God can lift the rock on another plane, then the rock isn't heavy enough for God to struggle with it at his maximum capacity. Response: Again, another recycled argument and no "smoking gun." H20 is the exact same H2O whether it is manifested a liquid, gas or solid form. Just as with H2O, God on Plane (A) is the same God on Plane (B) so you cannot argue that they are "different Gods: - or - "one God is of a greater power than another". ...Can you state which form of H2O is more or less powerful than another if it always remains the exact same H2O in all three states? Challenge: Yet the rock is heavy enough to make the whole thing that God is lifting equal to the weight of the rock [greater then God's force output] plus the weight of God [if he has one] and the weight of the plane [if it has one]. Attempting to lift plane B would be equally as heavy as the rock [which God cannot lift that weight] or even heavier. Response: As with the many other challenges I have received, you are paradoxically locked within the CGCP. You are once again recycling old arguments that have already been put to rest. As stated before, H2O is the same whether in a liquid, gas or solid state. Liquid H2O would not be able to hold or raise a 6" cube of metal. However, H20 in a solid state (ice) would be able to do so (and also raise the cube). 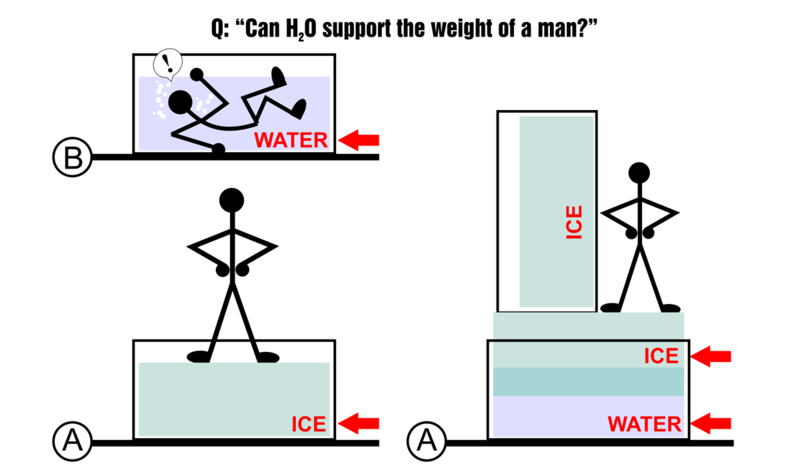 Ice would also be able to hold the weight of the metal cube and the weight of its own self and do so while simultaneously existing within liquid H2O and the hydrogen bond expansion of ice would still provide a certain degree of lift to the metal cube. Again, you have no "smoking gun" if I am able to draw an already-existing example from nature. And even with my H2O example, this is not necessarily how an omnipotent being would need to operate to perform the same task. Numerous other methods could be utilized just as well based on the definition of "omnipotence." Challenge: Then I have a counter to your counter-paradox. The stone is first at rest, then it starts moving. Acceleration is change in motion over time. Or m/s^2. And you attempt to state that changing states of matter them explains how God's power works. Water is more dense because of how the H2O atom arrange themselves. That is different then a God lifting a rock that is unliftable. Response: My example found in nature is not necessarily the same method the omnipresent God on Plane (A) and Plane (B) might operate. H2O only serves as an empirical example found in nature to support the CGCP. Challenge: Your counter to my counter of you counter-paradox is that God can manipulate physics in a way that acceleration and Gravity would no longer be an issue. By doing that, God would've taken the concept of a heavy rock away [because weight is force]. Response: First off, there is no such thing as a "counter" to a "counter-paradox." There can only be one mated set of paradoxes (i.e., a paradox and a counter-paradox) just as the number (2) is countered by the number (-2). When these two numbers meet each other, the sum total is the number (0). For example, the "counter" to the "counter-number" of (-2) would still the number (-2). All you are really doing is presenting arguments questioning the merits of this counter-paradoxical solution. The irony is that for the past 800 years, everyone has been questioning the merits of the Stone Paradox because they couldn't provide a direct response. Since the Circular God Counter-paradox exists as a direct response, everyone now feels compelled to argue against the merits of the answer. It's a stalemate, my friend! Nobody wins! The Stone Paradox is nullified and the only logical conclusion is that a paradox cannot determine the existence or non-existence of anything at all. Challenge:: Your CGCP event is simultaneous but the deities are not the same anymore in terms of omnipotence. There is no lost of omnipotence for the deity who is outside of the exception. There is however a lost of omnipotence for the deity who is not outside of the exception. They are not the two same beings with equal omnipotence anymore. They are both god by name but the other has lost omnipotence, so I'm trying to understand which perception of omnipotent you are arguing with. "Does this deity do what is logically impossible or only what is logically possible?" Response: There are no "deities" (plural) present in the CGCP as it is the exact same God on both planes. If God on Plane (A) and God on Plane (B) are identical and an act of lifting and not-lifting has simultaneously taken place, then how is it possible to assess any success or failure (or any difference at all) in God's performance? It all becomes one simultaneous event. If you walk out onto a lake during winter where the surface is frozen, are you able to say that the H2O in the ice is "different" than the H2O that is in the water just because you can now walk on the surface of H2O and last summer your couldn't? Another way at looking at the "perception of failure" by an omnipotent being is by using a "tree" as an example. Our omnipotent God has created trees and we think of them as perfect elements of nature, but when a storm comes through, some of the branches of God's trees get broken off. However, God has purposely designed trees with break-away branches so that trees can survive a storm and not become uprooted. Even the trees that are destroyed in a storm begin to rot and convert into other elements of nature that we also consider perfect. So when we see a tree with a broken branch can we truthfully say that this tree is not perfect even though it has been purposely designed to behave this way? Can we also conclude that God is not omnipotent because God designed trees, the trees God designed get broken and therefore this represents a failure or weakness within the design? In response to what an omnipotent being can do: My understanding would probably be more of a Descartes/Aquinas hybrid: My omnipotent being can do all things that can be conceived, all logical-impossibilities that can be conceived and all logical-impossibilities that we are incapable of conceiving which do not qualify as logical nonsense but cannot do what is considered logical nonsense or what is considered stupid. A square-circle cannot be conceived, is a logical impossibility and logical nonsense. (2 + 2 = 5) also cannot be conceived, is also a logical impossibility and also logical nonsense. Omnipresence is logically-impossible, yet I can conceive it and it is not logical nonsense. Defying gravity can be conceived, is not a logical impossibility nor is it logical nonsense. "Simultaneously performing two acts which are diametrically opposed" can be conceived, is a logical impossibility and is not logical nonsense. "Can God create a more circular circle?" is inconceivable, complete nonsense and void of any and all logic. "Can God make a goose that is the number 4? "_ is inconceivable, complete nonsense and ...well, ...frankly quite stupid. "Can God kill himself?" is conceivable, is technically not logical nonsense or represents a logical-impossibility, but is still considered stupid because you're requiring omnipotence to disappear forever in order to demonstrate the existence of omnipotence. Since our omnipotent being is able to do some logical impossibilities that are conceivable, then it is also conceivable that logical impossibilities that are not conceivable can be done as well, we just don't know how they are done. This leaves "logical nonsense" and "stupidity" which do not qualify as proper tools for evaluating the capabilities of an omnipotent being.